The road of the future is likely to become the brain and nerve center of an autonomous-driving revolution. 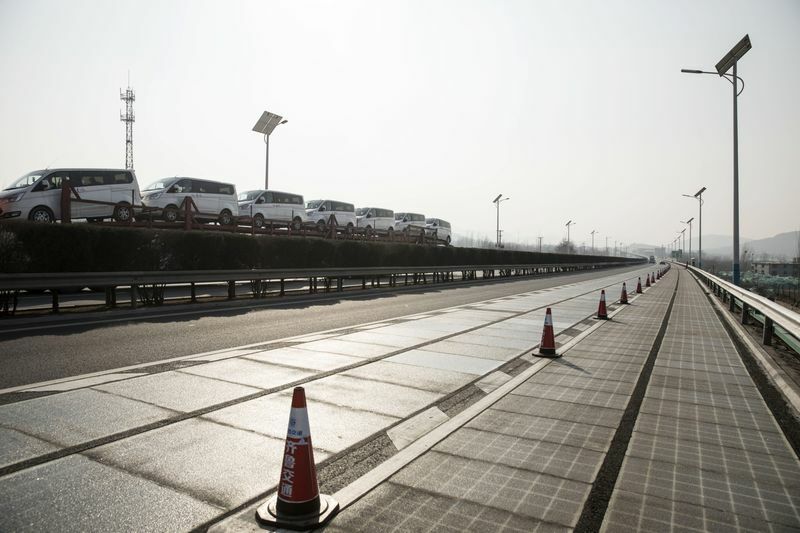 Cars drive adjacent to the photovoltaic lanes on Qilu Transportation’s highway in Jinan, China. Yet Qilu Transportation wants to do more than supply juice to the grid: it wants the road to be just as smart as the vehicles of the future. The government says 10 percent of all cars should be fully self-driving by 2030, and Qilu considers that an opportunity to deliver better traffic updates, more accurate mapping and on-the-go recharging of electric-vehicle batteries—all from the ground up. Photovoltaic cells under transparent material. China also has a separate plan for developing its artificial-intelligence industry that calls for the nation to be the world’s primary AI innovation center by 2030. Part of that effort involves building what the government calls an intelligent transportation system. Coordinating the development of autonomous-driving cars and intelligent-road systems is a focus, said Yuan Peng, the deputy head of the transportation ministry’s science and technology department. 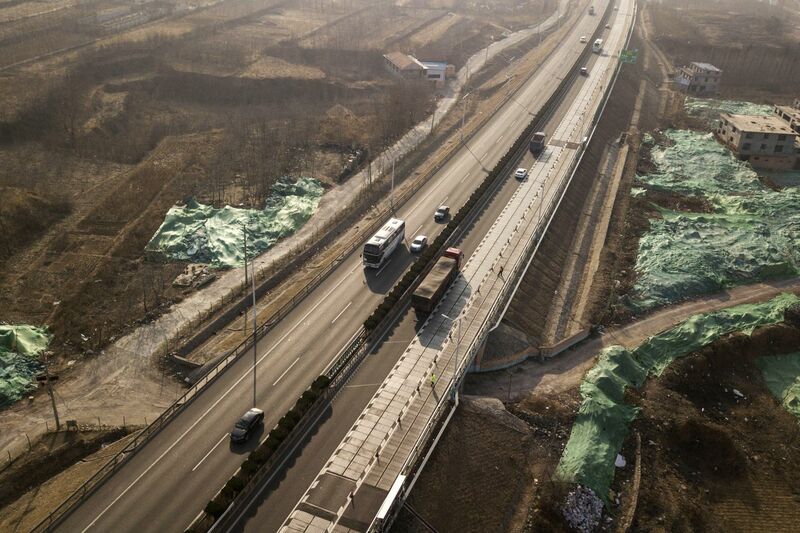 Step one makes up a section of the expressway surrounding Jinan, an old industrial hub of about 7 million people that’s home to China National Heavy Duty Truck Group, which is also known as Sinotruk and includes Volkswagen AG’s MAN SE as a minority shareholder. Zhejiang Geely Holding Group also has a plant there making Geely brand cars. The two lanes of solar panels. Qilu Transportation didn’t give a time frame for installing the sensors to transmit data and power to EV batteries. The road has an estimated life span of 15 years, matching that of traditional asphalt highways. In 2016, French construction company Bouygues SA started testing a 1-kilometer road in Normandy with solar panels layered on top. Tests of the Wattway road since have expanded to 20 locations, said Etienne Gaudin, who oversees the project at Bouygues’ Colas Group road-work division. Wattway’s focus is generating electricity, and the company has no immediate plans to charge moving EVs, he said. Colas will start selling the project next year, prioritizing smaller locations such as charging stations and parking lots where traffic won’t block sunlight, Gaudin said. China will have 30 million vehicles with different levels of autonomous features by 2025, said Yu Kai, founder of Horizon Robotics Inc., a Beijing-based startup developing semiconductors for those types of cars. A monitor shows the amount of energy generated by the solar panels. 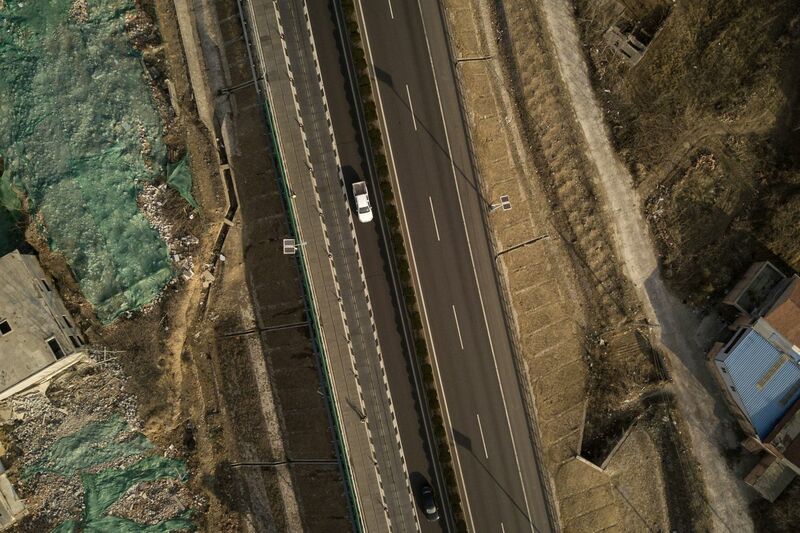 The stretch of road in Jinan cost about 7,000 yuan per square meter to build, Zhou said, making the total cost about 41 million yuan ($6.5 million), according to Bloomberg News calculations. The threshold for mass adoption of the technology is about 3,000 yuan per square meter, the company said. The initial costs are high because Qilu’s research-and-development team developed the technology and made the materials in its own laboratories, and the costs should come down as the components are mass produced, Zhou said. Qilu is owned by the government of Shandong province, which includes Jinan. Researchers started working on the project 10 years ago. Construction took 55 days on an existing part of the highway, and the road opened to traffic in December. Solar-powered heating elements keep the section snow- and ice-free. 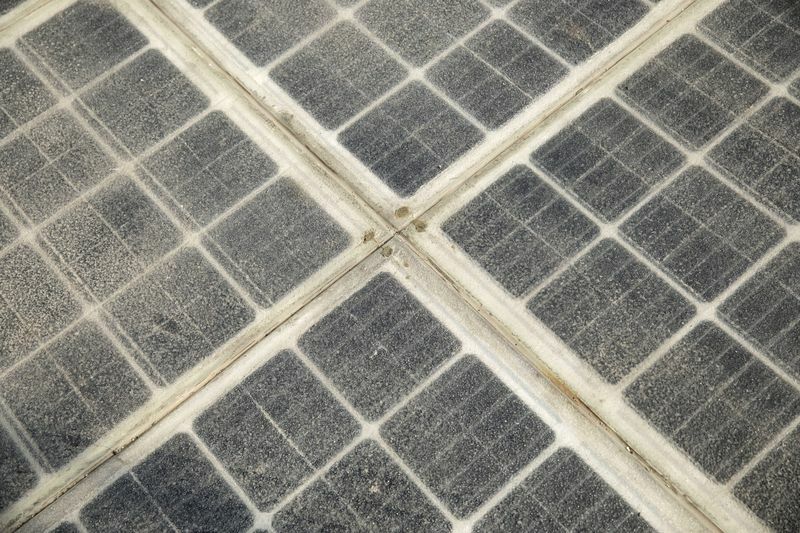 Photovoltaics cover a 1,080-meter-long stretch of the road. Qilu said it is cooperating with several domestic automakers on the technology but declined to elaborate. China accounts for half of all EV sales worldwide. It surpassed the U.S. in 2015 to become the world’s biggest market for electric cars, with sales of new-energy vehicles—a category that includes battery-powered, plug-in hybrid and fuel cell cars—possibly surpassing 1 million this year, according to the China Association of Automobile Manufacturers.